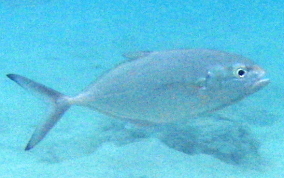 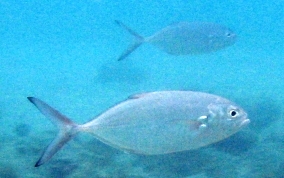 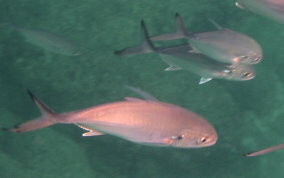 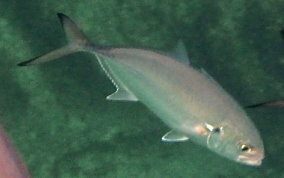 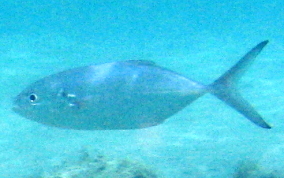 Blue Runners are seen much less often than Bar Jacks because they tend to stay in open water. 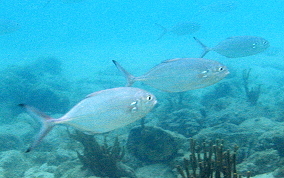 The Blue Runner has black TIPS on both the upper and lower lobes of their tails. 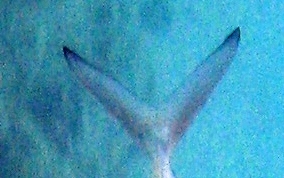 Also as you see in the pictures, they have an elongated spot behind their gill covers that looks like white dash lines with a black line in-between. 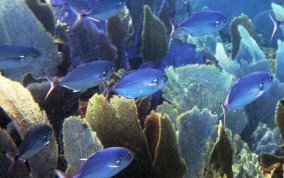 The other clue that you are seeing a Blue Runner is that Bar Jack almost always swim with their dorsal fin erect, the Blue Runners almost always have theirs down, giving their top and bottom lines a straighter appearance. 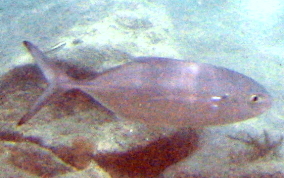 These pictures were taken just off the shores in about 10 feet of water. 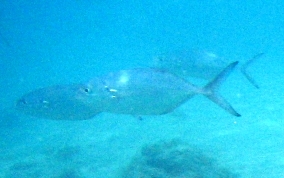 They can grow to over 2 feet in length. 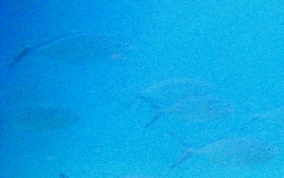 Compare the Bar Jack-upper left with Blue Runners.